I've had alot of free time at work lately so I decided to mess around with the sheer, the brake and some powder coat. 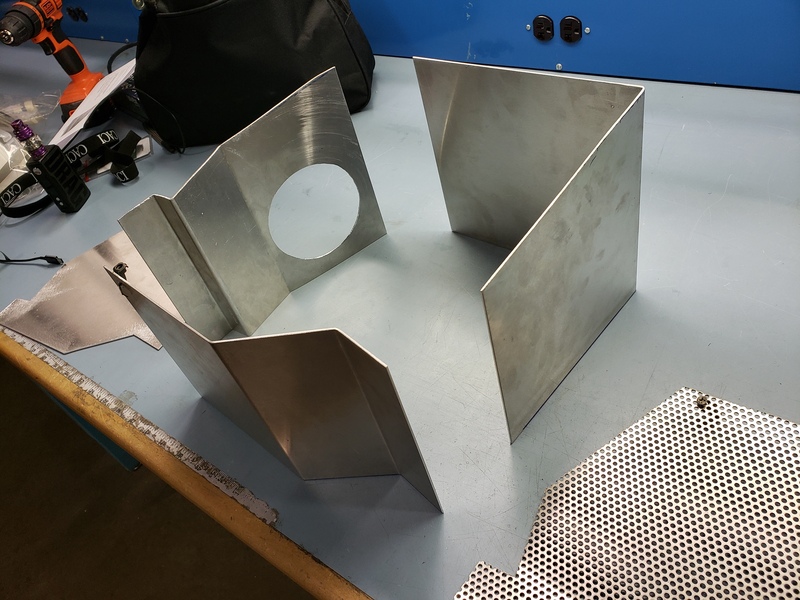 I grabbed some scrap pieces of 060 aluminum, cut them down to size with the sheer, then I bent them on the brake. 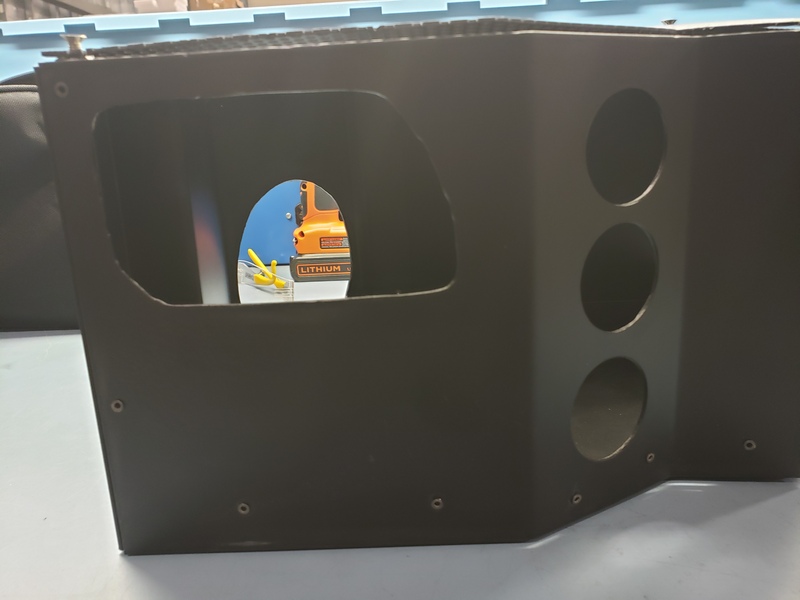 I taped the pieces together to see the shape of the box and to test fit into the car. 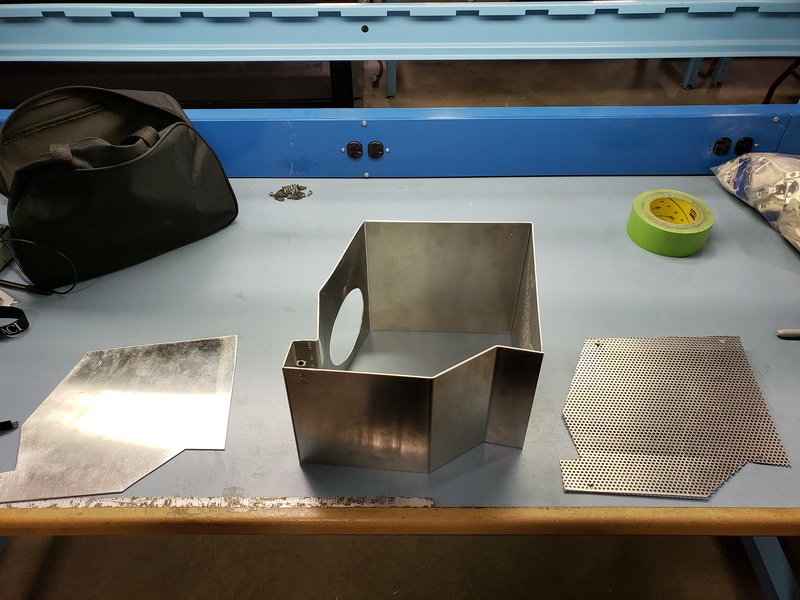 I had planned on having my boss weld the box together for me since I am a novice welder, but I really wanted to do the entire project by myself so I decided to make some brackets and rivet the box together instead. 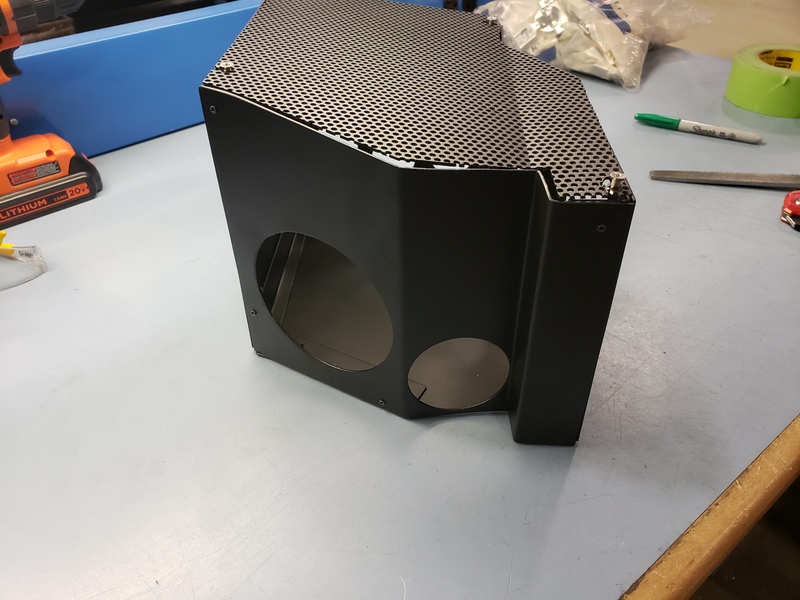 Once I test fit everything together with the brackets, I match drilled them, then powder coated everything satin black. 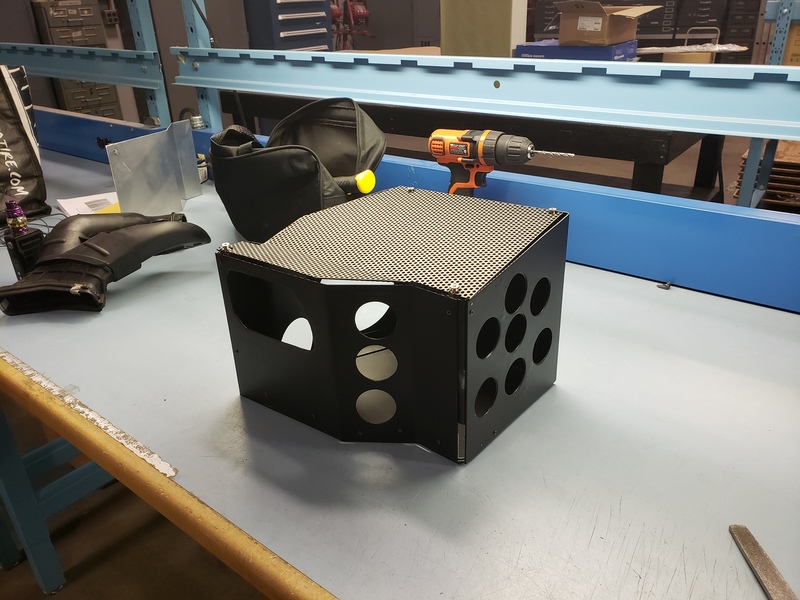 The last step of the box was to rivet everything together. 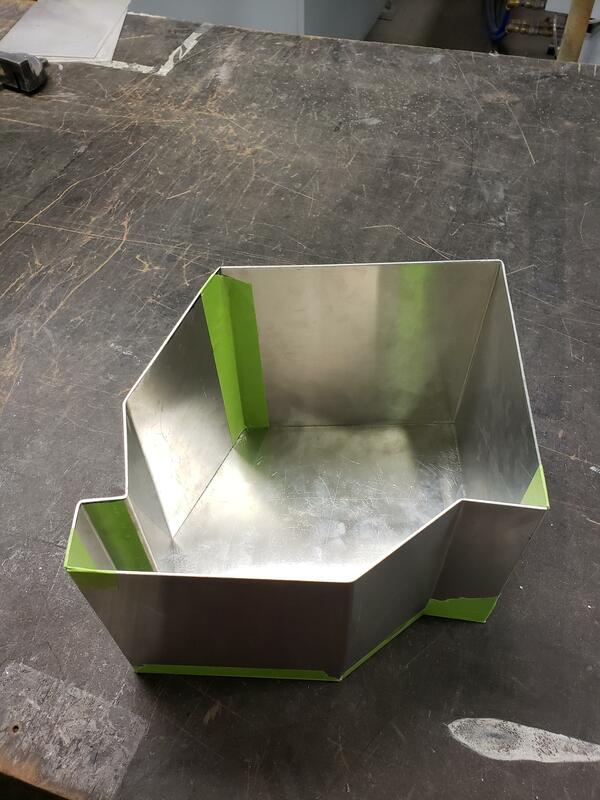 Then I decided make a top for the box, I found some aluminum mesh and some threaded angled pieces I could rivet to the inside top corners of the box so I could secure the mesh top with screws. Duece McCracken, Blackula, beretta96 and 3 others like this. Lmk when you want to start a group buy. oldloudmouth, SToked13 and Thieske like this. 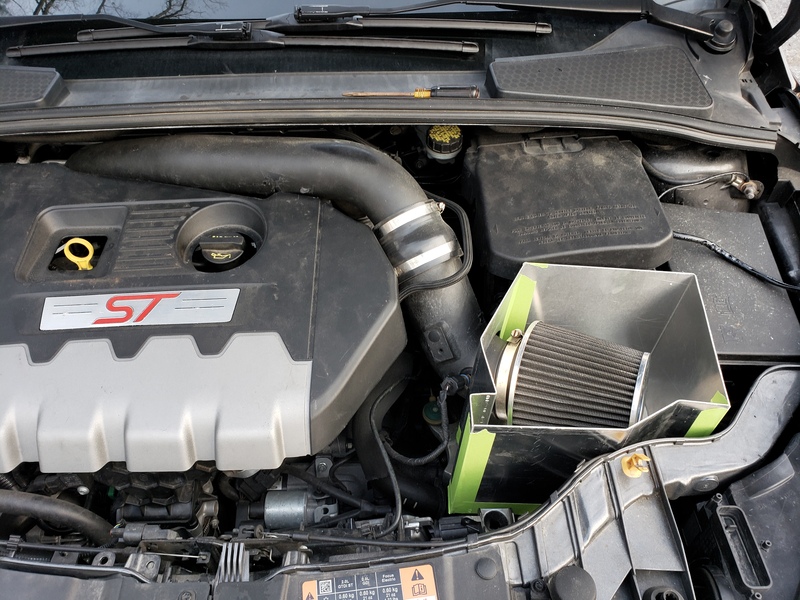 HP diff with Focus ST Velossa Snorkel with Std Airbox OR RS Airbox? DIY Wide Body ST? B is for Build Style? Is it Possible? Am I Dreaming? 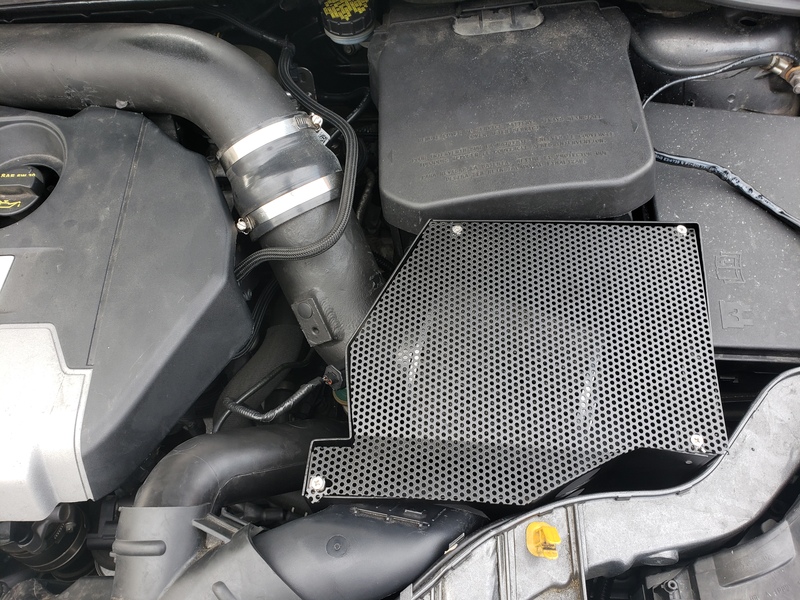 DIY Cold Air ducting into the Airbox! 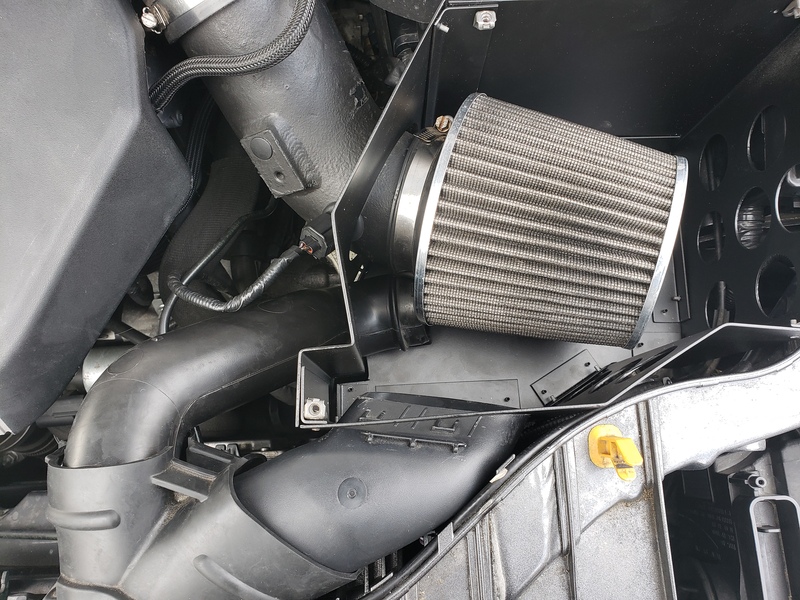 How to seal up a cp-E intake airbox? For future snorkel purposes.